Club 80-90 Technical Archive (Read Only) • View topic - Lpg conversion £890?? LPG, Bio Diesel, Hydrogen, Fuel Cell Questions and Answers last answered over 2 years ago. You may also want to visit the 80-90 Wiki(pedia) for a more structured index of T25 repair, maintenance, technical and ownership topics. You cannot post in this Archive forum (read only). If you require to re-raise one of these topics in the live 80-90 forums, please insert a link to it in your first post. Hi, Has anybory used this company? http://www.professautogas.co.uk/index.html £890 for a full converstion fitted in a day 65 - 70 lt tank??? 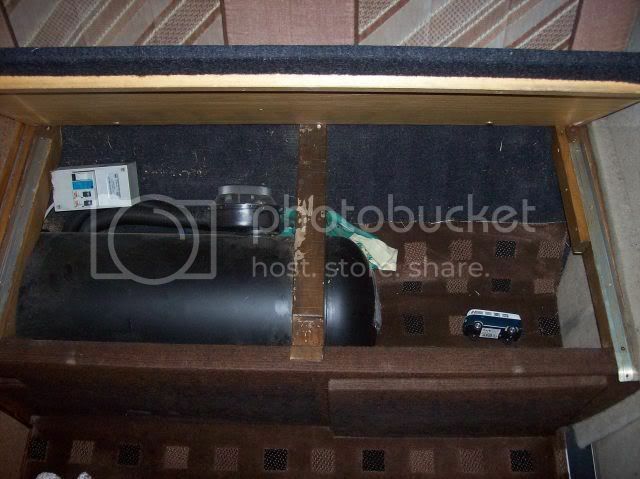 They state the tank needs to be fitted in place of spare wheel but really dont want to have to lug that around and have bike rack on back.. Also dont want to lose space under seats or back cupboard.. Got to comprimise somewhere I recon tho. Have read about some vans having underslung tanks, are these all spare wheel converstions?? Any help or thoughts? And..... you are already in Staffordshire, and they are not a million miles away in Chester. The spare wheel well tanks only hold around 40 litres not 65-70. Diesel is an engine not a fuel. I liked camping so much I went full time. Spoke to Steve at Gasure and he advises that max 55 in spare wheel tray.. So you are right, also makes the Autogas guy sound a bit duff if he gave me wrong advise to start!! People sure rate that Gasure, thats for sure.. bum, bum!! Steve states £999 for my 2.1ij WBX so sounds like a good deal.. Still thinking if anyone had used these Autogas guys? Gasure ... just do it ! Ian Hulley wrote: Gasure ... just do it ! peterg wrote: Spoke to Steve at Gasure and he advises that max 55 in spare wheel tray.. So you are right, also makes the Autogas guy sound a bit duff if he gave me wrong advise to start!! People sure rate that Gasure, thats for sure.. bum, bum!! Steve states £999 for my 2.1ij WBX so sounds like a good deal.. Still thinking if anyone had used these Autogas guys? I don't get it.. surely you want more of the cheaper fuel? What do you keep under the bed? Hey Kev, Thanks for putting me onto the Autosleeper way back when I was still in a bay poptop.. Keep meaning to post pics of adventures on here.. Your seat looks further forward and looks like you moved it from the marks, does table hole need moving? Looks like it would be tight on mine?? Seems like Gasure is way to go from what I'm finding out... Any probs with yours?? the big bin storage (with the wire baskets) bottom is just high enough to clear the tank. I then cut a hole in the side of the unit so the tank would sit under the cupboard for a third of it . I can still fit the potty in the bottom cupboard and have lost no room at all under the bed, it's just "squarer"
yes it's a faff, but i have a 240 mile tank of cheap fuel. I guess it depends on your commitment to changing autosleepers' seat position and floor covering. 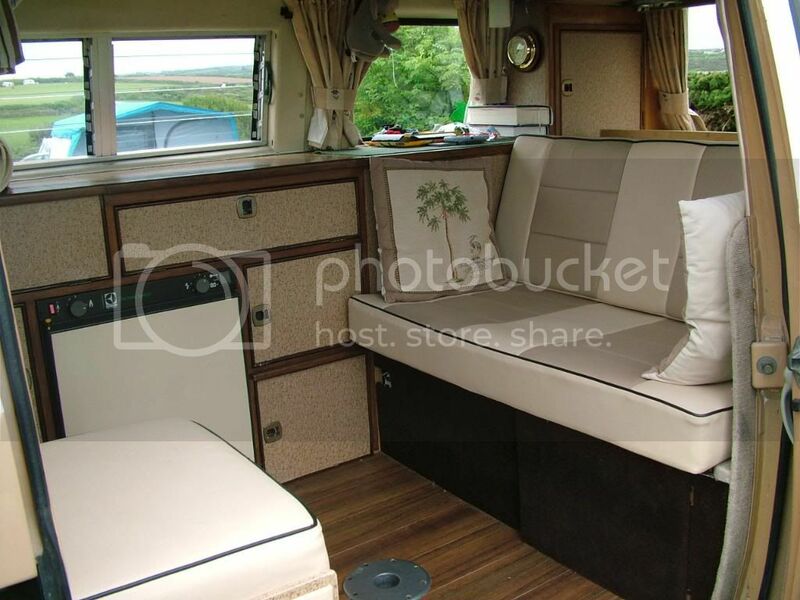 Mine has been done tastefully, I retain the conversions attributes, albeit with 6" less floor space.